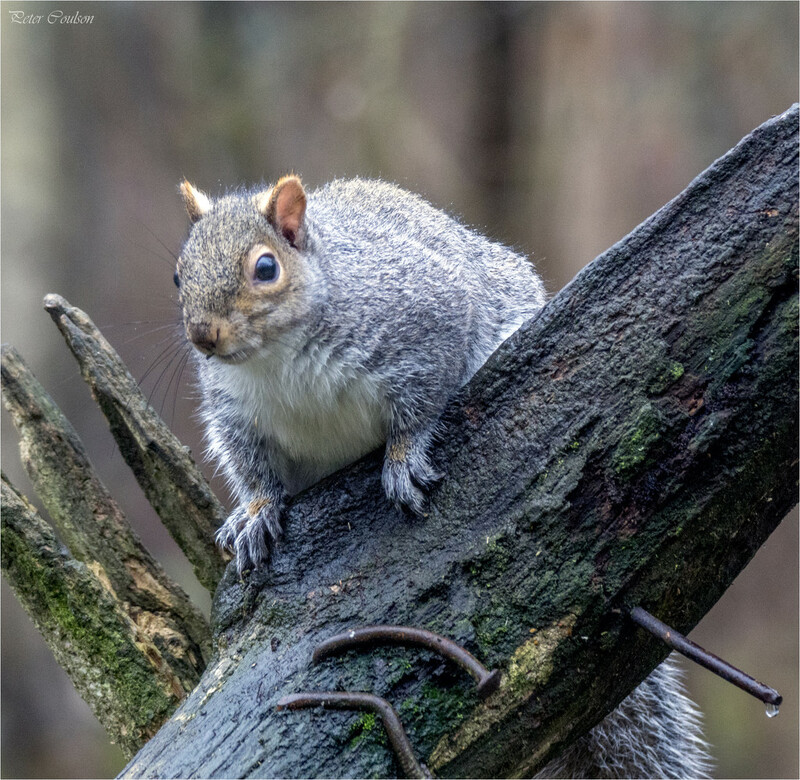 Caught this grey Squirrel out between rain showers in the woodland clearing, feeding on the birdseed. Great capture. It looks like he was running through the branches and then caught sight of you and stopped. They love birdseed! We use safflower seeds in our feeder, they don’t like those seeds. I can't decide if he is puffed up because he has eaten too much birdseed or because it is cold! Engaging capture! Fabulous shot Peter. He looks very well fed. Your bird feeder seems to be a great restaurant for him. @pcoulson Well the red ones are just lovely and not pests! Unfortunately they are rare now because of the invader grey squirrel! Wow. Lovely detail. Nice shot. They sound a bit of a nuisance - like many introduced species they have misplaced other natives. Cute shot just the same.